As most of you may know, when several cars are lined up for work, Todd Cooperider and myself often team up and tackle these collections together. This time around would be different as Todd was unable to make the trip up to the north east with me, I would have to reach out to another detailer. 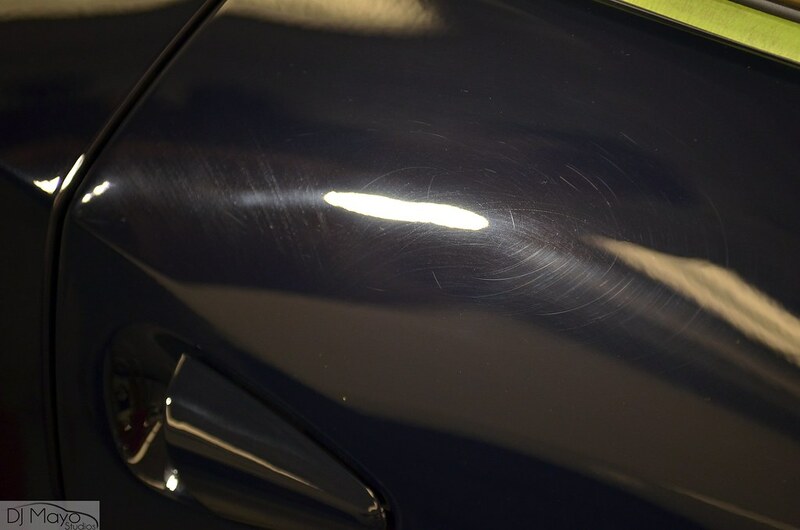 This detailer couldn’t be just anyone, it had to be someone that was on the same skill level and has the same mind set when taking on jobs that would require this level of attention. 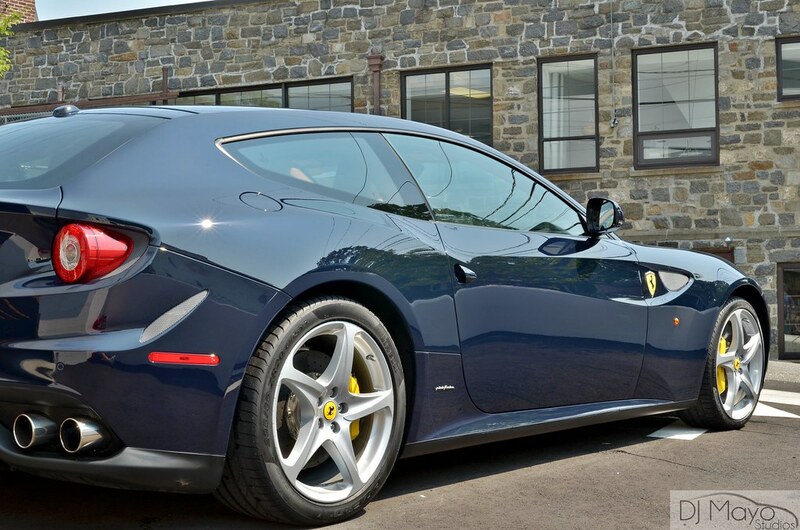 The choice was easy, Detailed Image author Greg Gellas from Signature Detailing who resides in the New Jersey area was able to work with me for the week. I have had Greg work with me in the past on several collections so no hesitation came to give him the call. When the time came after all the arrangements have been set, I flew up north and we got to work immediately. A few cars for complete correction were lined up for us while in town, but we also took on another car as I got the call that was “I heard you’re in town, can you fit mine in too?” With limited time we just settled on doing a more basic 1 step correction and protection for this vehicle. It was a 2005 Porsche Carrera GT. Now for those who don’t know or only know a little about 22ple coating, listen up! 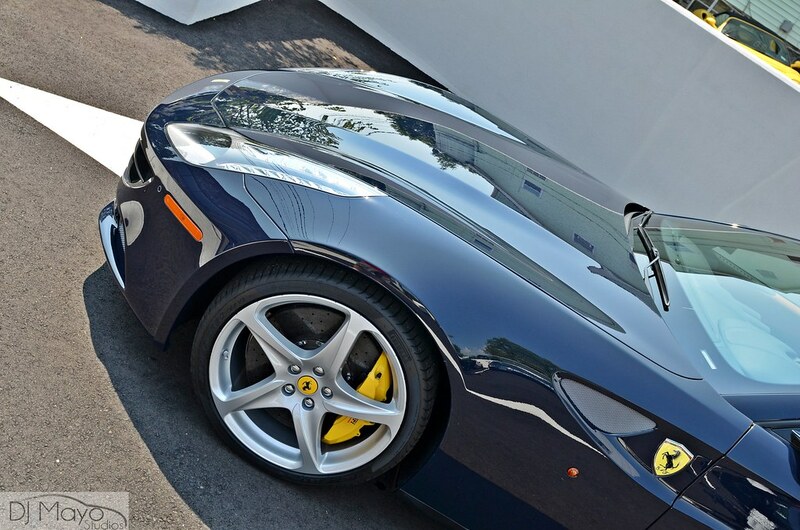 You’re about to hear about the easiest, best looking coating ever made, hands down! If you are looking to apply an extremely strong protective coating that will leave an incredible layer of gloss simultaneously then the 22ple VX1 Pro Glass Coating is for you. This product is a truly unique form of protection that is unlike traditional sealants or waxes but applies just as easy. VX1 Pro will leave behind a hardened high silica-content glass barrier between your paint and harmful environmental elements. It protects the surface in a unique way so contamination will not readily stick to the surface. Later on your wash mitt will glide across the paint with ease, removing the contamination safely and easily. Water will even bead and roll off the surface like never before, making the drying process faster and safer which reduces the risk of marring the paint! The protection is strong but also extremely durable making it far superior to traditional waxes and sealants. While sealants and waxes provide you with up to 6 months of protection, you can expect a whopping 18-24 months with VX1 Pro! If you’re worried about the shine don’t bother because it is a warm and deep gloss that commands your attention. Since you’re literally applying a glass like coating to the surface you’re getting that “hard candy” or “wet” appearance everyone loves. 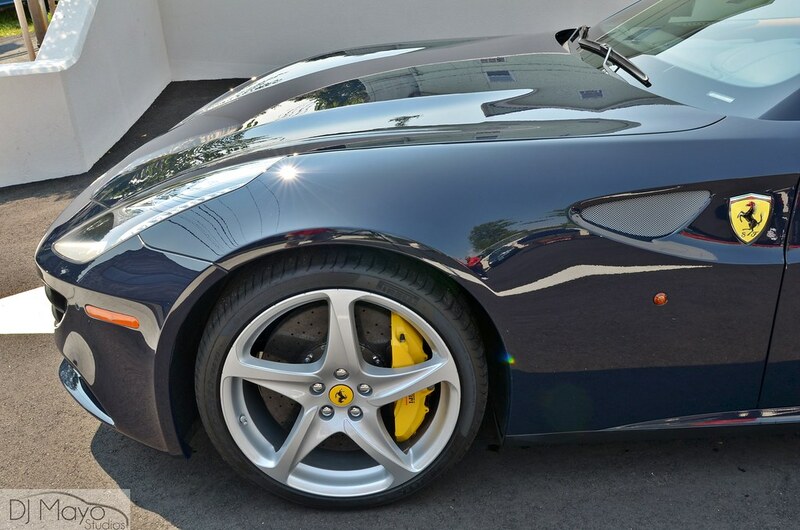 This coating will truly distinguish your vehicle from others and preserve it’s value for years to come. If you are looking for a semi-permanent paint coating that makes the paint look better than new while offering durable protection then the 22ple VX1 Pro is for you! 20ml – Great for touch-ups or motorcycles. 30ml – Best size for single vehicle applications. With some experience with the product you can get multiple applications out of this size. 50ml – Best if you are looking to perform multiple applications or want to apply on multiple vehicles. Please make sure the surfaces are cool and TOTALLY dry before applying the glass coat. Pour a small amount of glass coat liquid onto a foam applicator pad and apply in a straight line motion. Do not over-apply as it does not give you additional benefit, but it might make it difficult to remove. Make sure ALL surfaces are covered. You should then buff off the coating with a clean, lint-free microfiber towel within 3-5 minutes in normal room temperature. Should you encounter any dried coating, simply reapply another layer over it and buff. If an area becomes dry / tacky, then it’s a sign that you allowed it to sit on the surface too long. We like to use 2 towels for removal. The first for main product removal, and then immediately go over it again with the second towel to ensure that you have completely removed all residue. As a good rule of thumb, apply 22ple to just 2 panels / sections at a time, and then proceed with residue removal. If you extend any more than this, the coating will dry too much and can become tacky. Cure time – Do not wash your car or expose the car to open weather element,rain, snow etc for around 8-12 hours. Here is a Ferrari 458 Italia after correction and then treated to a 22ple service. Works excellent on ALL colors, really makes those lighter colors glow. 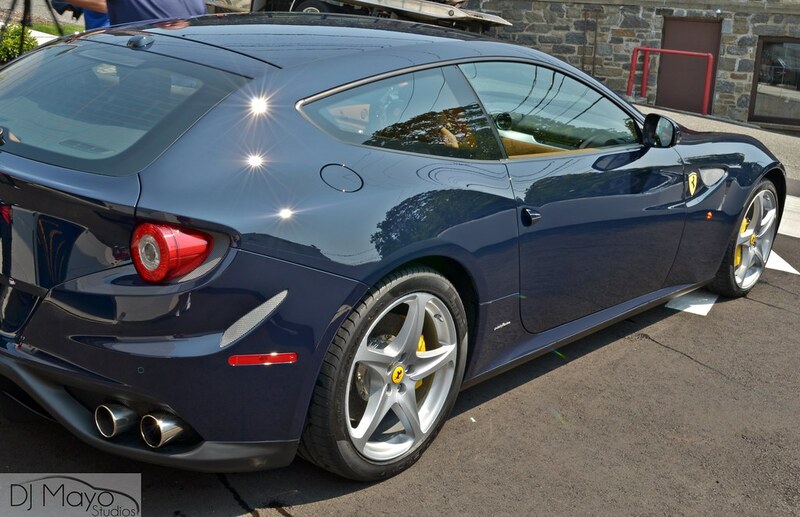 Now onto the heavy correction work that was required to take this brand new Ferrari FF to the appropriate level. As usual, even brand new cars require some level of correction, some more so than others. The only way to determine how much time and correction is needed is to see the car in person and eventually do a test spot/panel. The next few photos will show how “brand new” cars are being delivered to customers. 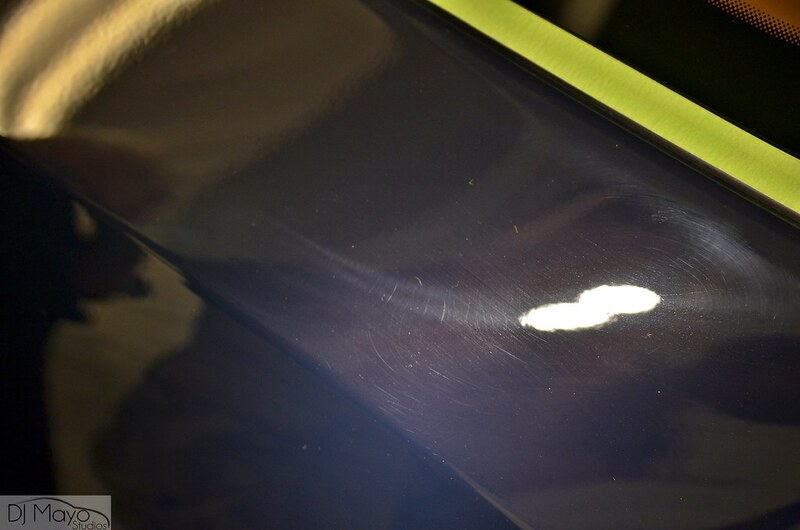 Below, you can spot heavy holograms, scratches, swirls, DA sanding marks, etc and these defects take away from the potential of the paint. Being able to safely level these defects will allow an even, pure reflection to shine through resulting in the defect free finish we are all going for. After multiple correcting stages, we were able to do a final wash and alcohol wipe down to prep for the 22ple coating service. We used the VX1 Pro for the paint, the VM1 on the wheels and exhaust tips, and the VR1 on the rubber and plastic trim / wiper blade arms, etc. NOT on the tires. These next photos were immediately after using 22ple, I can only imagine what the car would look like several days later once the coating fully cured and crystalized. As the car sits and the coating cures, the gloss continues to enhance for the next 4-5 days. Does your quarter panel look like this in the sun? In closing, is 22ple a game changer? Absolutely. With the ease of use, the look it gives and the time it saves the owners because the car stays cleaner longer, easier to clean, and much SAFER as you are washing/cleaning the coating, not the clear coat. You are much more likely to NOT introduce swirls and scratches into the paint. You still need to follow your strict washing/drying process, but it should make it not as stressful. If you or anyone else has any questions or comments about 22ple or anything else detailing related, please submit them in the comment box below. Thank you for reading, we look forward to hearing from you! Wow, I like the idea of semi-permanence since i will come off eventually if I decide i dont like it. Based off of the pictures though, I don’t see this happening. One question though, after the product has cured could it be topped of with a wax later on if desired? And is it as finicky to apply as Opti-coat? Great job on the cars guys! What a great write up and so many beautiful vehicles that are now worthy of their namesake. I just ordered and plan on applying the 22ple Pro to my new Audi very soon. I do have a few questions that I would really like your input on. Is this product sensitive to proper curing in higher heat and humidity? Are there any traditional or rinseless wash products that are not recommended for use with this product? Can the coating be polished with a light finishing polish like other coatings without harm if surface imperfections need to be addressed down the road? Can a product like Car Pro Re-Load be used as a surface enhancer on the coating ? Thank You – I really enjoyed viewing all of the fruits of your hard work. 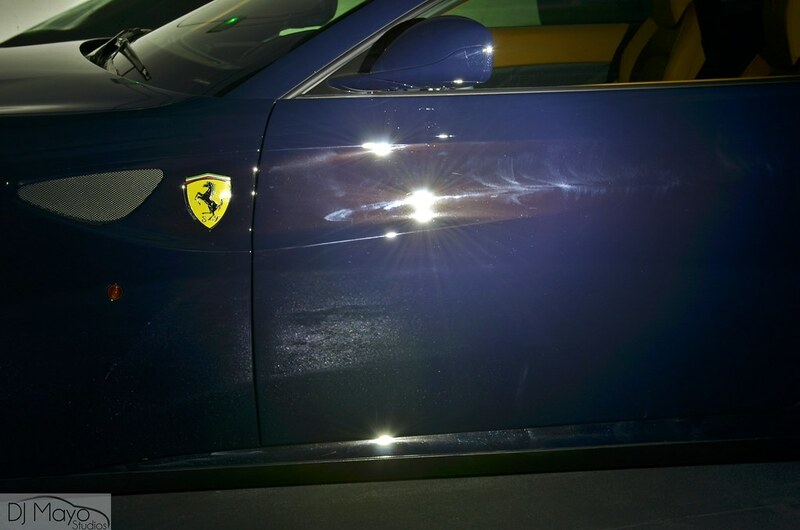 Can 22ple be used over paint protection film such as xpel ultimate? Nice article and great pics DJ! I noticed one of the warnings was to only use the applicator once after applying the VX-1. Will the same apply for the microfiber towels used to buff it out? I know that driveway.across from Ferrari. Great pics guys. 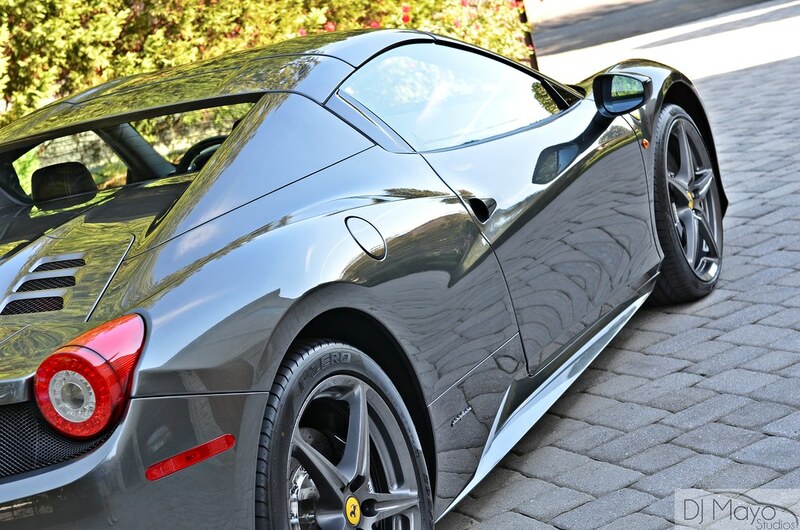 Car looks flawless!!!…….. Since the VX1 leaves a silica barrier over the clear, is it safe to assume it could potentially keep small road “nicks” from damaging the paint (esp on black)??? I might be exaggerating the protection abilities of this product, but it sounds like its a “clear coat for the clear coat.” Please correct me if I’m wrong. This product sounds almost too great to be true. And lastly, can the car be driven normally during curing…What if it rains, does this affect the final result?? Excellent article and magnificent pictures DJ, hard to beleive that shine WOW. My question is: Lets say that I buy the 30 ml bottle, how can this small amount cover an entire car?, I would think that the pad will absorb most of the product, is just a very little over 1 ounce in the entire bottle. What happens after the 18-24 months post application? Does this product has to be removed? or another application will do the job. Great work. The coating sounds similar to C Quartz. 30ml of that will do a med size car and leave enough for a second coat of the horizontal surfaces….some may be able to get two full coats. MF suede cloths or small makeup pads are the suggested applicators. What’s the cost of 22ple VX1? I see the pricing on the DI website. The application process itself is easier than using Opti Coat. For the first few days after the product is applied, allow it to finish crystalizing (5 days) before washing or applying anything on top of the coating. I have been using the Esoteric Signature Wax on top of the coating as a follow up which really enhances the paint and depth itself and use the coating as my base coat. Well that seals the deal then (no pun intended? ), after I get back from SEMA I think a detailing weekend is order for me. What MF towels do you use to remove the coating? I usually use the ultra plush DI towels and I would really feel bad throwing those away….could i use the all purpose towels as long as their new? If it is hot or humid when applying, simply do one panel then remove after 2 minutes. If you are inside and the conditions are cool, you can do 2-3 panels at once before removing. If for some reason you wait to long to remove and the product becomes a little tricky to remove you either applied to thick or waited too long to remove, just apply a little more to the surface and it will remove itself. You can use any car wash you choose. You CAN do a very light polishing to enhance the gloss or clarity down the road if you choose. Although with the hardness of the coating and with proper washing / drying, this should not be necessary. Yes, you CAN apply something over top of the coating down the road. Sure, you can apply 22ple product on everything but glass. Correct! The 2 towels and applicators used in my applying process are all thrown away afterwards. I just consider the charge of towels and applicators into the price of the 22ple service. 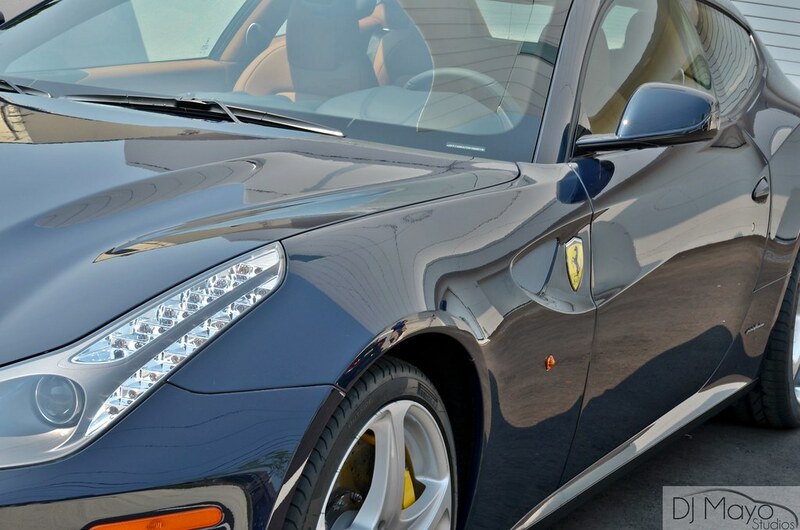 While the product itself is much “harder” than factory clear coat, the only way to truly prevent rock chips and such on the front ends of the cars is by using a product such as xpel film, etc. Also the car can be driving during curing time. The only thing I would advise against is driving in the rain immediately after applying. If you can avoid water for 2-3 days you will be fine. If for some reason, you get stuck in a rain storm a day after, just do a gentle wash, IPA wipe, and reapply. Although the description says 18-24 months, you will likely get closer to 24-36 months. Afterwards, just reapply the product in the same manner. As for how much product, I can get roughly 3-4 cars using the 50ml bottle obviously depending on the size of the car, etc. Thank you for checking in, please let us know your results and be sure to share your photos and experiences on the Detailed Image Facebook page. If you have anymore questions, please let me know. DJ- what concentration of IPA are you using? With a 70% conc., a 50:50 mix would be a 35% solution of IPA. I have read that above 20-25% can be detrimental to paint? Also, any idea on shelf life of 22ple once opened? Thank you. That’s our FF in the pictures; DJ also did a similar job on our new 458. Spectacular work to get the cars perfect, and in putting the 22ple in play. 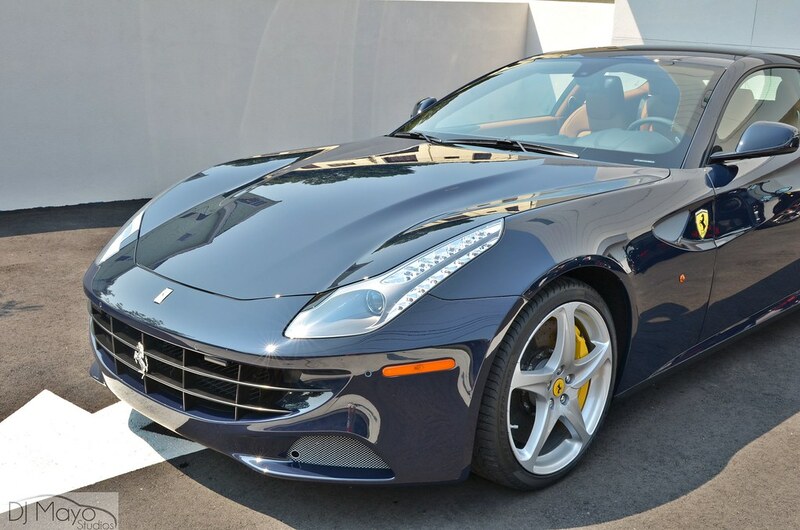 I must say, I was shocked (actually, I s__t) when DJ showed me the deep flaws in the paint on both cars, however he was able to get the cars flawless (458 is Rosso Corsa, FF is Pozzi Blue). Having now lived with 22ple for a few months (with plenty of driving, including in the rain), the finish is incredibly glossy and very easy to maintain. DJ trained us on the correct use of microfiber and quick detailer (which I’ve now had to buy plenty of on DI….thanks). After every drive, the car gets a wipe down, only have had to actually wash it a couple times. This stuff works….next trip out I am going to have them “refresh” it. If you’d like a “testimonial”, I’m happy to be a reference for DJ and Todd, as I’m sure are many others, they can connect you to me. I applied the 22ple coating this weekend on my 2013 Audi A6. The product was easy to apply and remove. I used the Car Pro suede mf applicators and pad and found the process to be right in line with what others have mentioned. Of course the time consuming part is all in the preparation, but fortunately my car had very few issues as it never sat on a lot, or was washed by the dealer prior to delivery. I washed with CG Citrus wash and Gloss with some OPC, Iron X and clay. Spot areas corrected with Meguiars D300 with microfiber pads on the Griots 6″ and 3″ DA polishers. Entire car polished with Optimum polish 2 on white lake country pads on both the Flex 3401 and Griots 6″. Final wipe prior to coating was with Car Pro Eraser. End result is stunning and certainly brings out the best in the Havana black color. Buddy- thanks for your comments. I was wondering about using the Carpro CQ applicator and MF suedes… using Eraser instead of IPA mix. Sounds like you had no problems. I’ve got 22ple and Esoteric Signature wax on order. I would love to see a pic of your car. The CarPro applicators worked very well. They do not waste extra product as they really only hold as much as you wish to apply. I really like the Eraser product and now use it on the majority of the work I do when surface prep is necessary prior to coating/sealing/waxing. I will work on getting some pictures. When I finished the car on Sunday it was very windy, so I did not want to pull the car outside and have extra debris land on the surface. One thing I have noticed is that the metallic flake in the paint seems to pop quite a bit more in the sun than it did prior to applying the 22ple. Buddy- Thank you. I have the Carpro applicator/MF suedes and Eraser and glad to hear they work fine with 22ple. About how much 22ple did you use on the Audi? (What bottle size/ about how is much left?). I appreciate your reply. I purchased the 30ml size and I would say I used about 65-70% of the product. I have OC 2.0 on my car. Do I need to I need to remove it completely, or will 22ple stick to it? I’d definitely remove it. You want a very clean surface for good bonding of any of the coatings. 1) we strongly recommend to AVOID any 3rd party prep product (e.g. 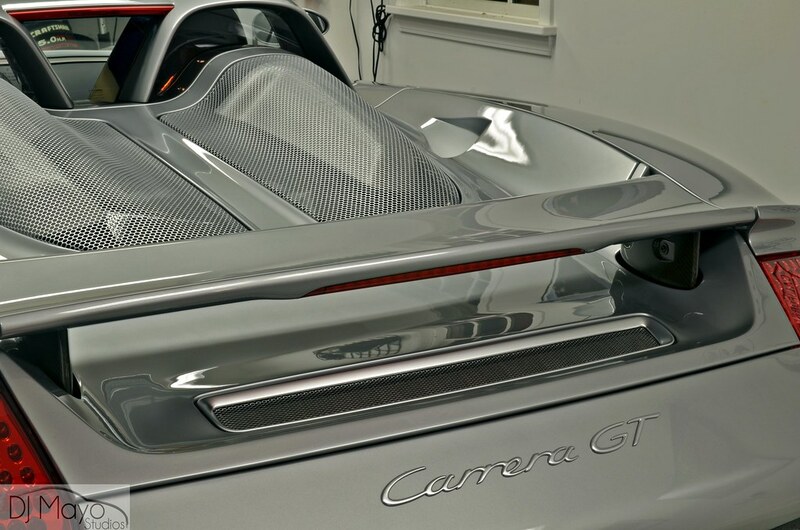 CarPro Eraser) as any products that leaves a layer of surfactants on top of the paint surface can have a detrimental effect on the glass coat, in fact it is a BAD product even if you are just applying a traditional wax/sealant on it. 2) we recommend a 6~10 hours of initial curing time before exposing the vehicle to the element or washing it. The full curing might take up to 4 days but after the initial 6~10 hours, they are good to be wash or be driven outside. 3) you will only need to apply a thin layer on the surface as over application brings no added benefit, in fact it could make buffing more tricky! Just be sure to cover the entire surface and not to leave any gaps. 4) Please remove any wax, sealant or coating prior to applying the 22PLE glass coat as the glass coat works best on a clean surface! 5) please use a short nap microfiber to buff off the coating. Long pile microfiber don’t work too well as the surface can be slightly grippy immediately after application. So what is the best prep product to use before 22PLE to ensure all waxes, polishes, and cleaners have been removed? Excellent review BTW! It looks like 22PLE is easier to work with than other coatings and the results are stunning! 22ple- Thanks for the info. Am I correct that like over application, applying 2 coats (6+hrs. apart) brings no additional benefit? So full cure is 4 days, not 5? 22ple- If you see some smears after the coating has cured for say 24 hrs, what’s the best way to remove them… would a mild non abrasive cleaner like KAIO work without disturbing the 22ple layer? Rob…while a 2nd coat is desirable, if however you are careful with your application, then the 2nd coat may not necessary! Having said that we always gave the horizontal panels and the front fenders a second coat when ever possible. Full cure is around 4~5 days, depending on where you are. Roger…since 22PLE Glass Coat cured to a very strong layer of glass after 12 hours, a mild chemical cleaner might not be able to remove the smear. You can always give it a good go to see if it works, however if they don’t then you will need to machine polish out the said panel. We know and everyone has been telling us that 22PLE Glass Coat is just about the easiest to use and most user-friendly glass coat in the industry, so unlike competitor’s products smearing is UNLIKELY to happen unless it is a genuine user mistake! 22ple–thanks for the reply and info. BTW, I did try Klasse AIO chem. cleaner to remove a couple smears (noticed after about 24 hrs cure). I used an MF pad by hand, light pressure and it worked. I do not believe the underlying 22ple layer was compromised since it looks just like the rest of the panel. It was operator error….my lighting during application was not the best, so I missed complete buffing of a couple small areas. 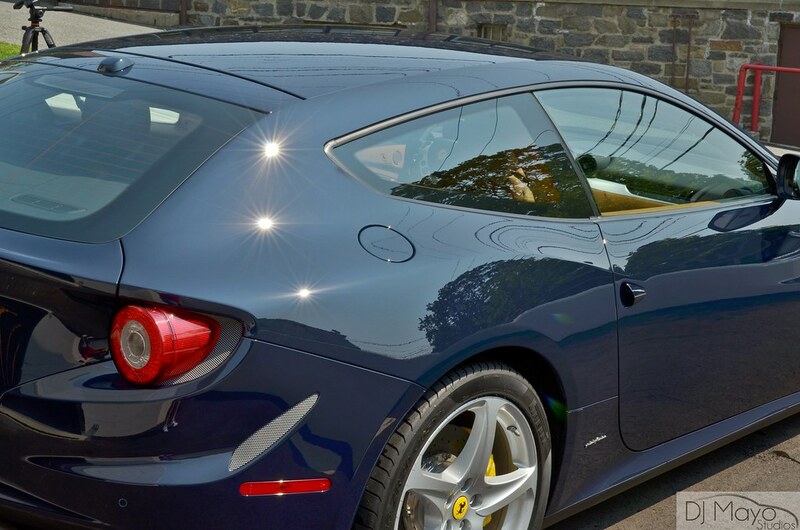 The car has a “thick” glassy, glossy look…if that makes any sense. Looks alittle different than a traditional sealant. Very nice. i can’t stop cursing. first off you guys did a great job. second the shine and gloss is unbelievable… i love it. i have 6 coats of Hard Body on my car (2013 Lexus GS F Sport, Obsidian). 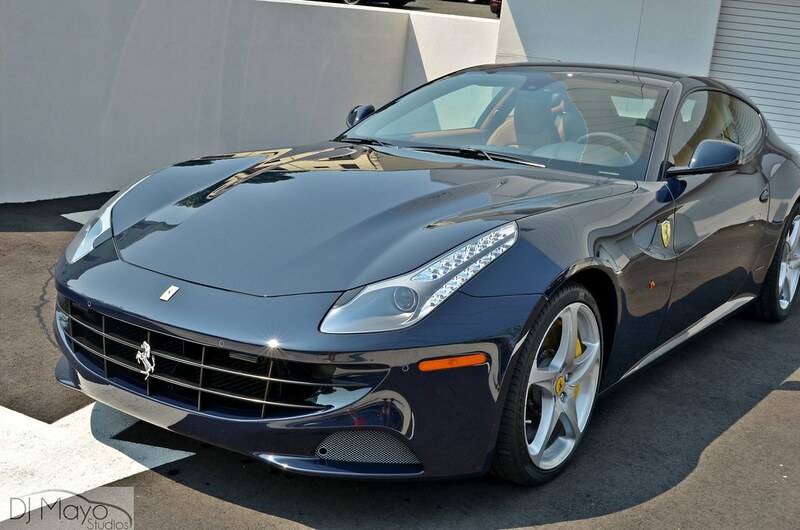 my car shines like the Ferrari, but not that damn good. it’s amazing. so there is only one coat of 22PLE on that car ? so i think it’s safe to say the 22PLE is much better than Hard Body. can i apply 2 coats of Hard Body over a coat of 22PLE ? What applicator do you recommend?? what type or which brand of shampoo do i use to maintain the 22PLE pro sig. without worrying that it will be stripped off. i.e hard body needs the wolfs nano shampoo to maintain it, any other shampoo degrades the hard body… i know, it happened to me. so now i have the 22ple pro sig applied to the paint. do you think it’s easier to maintain than the hard body? which shampoo do you recommend to use after 22ple is applied? Would Dodo Mild be ok or Mr. Pink? What spray detailer products/boosters are suggested? Hi DJ and other Knowledged Ones! I have become tired of paying othes for paint detailing that looks ok for a short time. Much too quickly, either by me using incorrect methods and/or materials or by using shops that are not at the top of the profession, my paint looks mediocore at best. So, i’ve started to investigate the who, what, when, where and why world of detailing. I presume all swirls and tree sap etc particulates must be correctly removed before applying 22ple. Does 22ple get applied directly on bare clearcoat and…then would just maintain my paint thru correct washing and detailing for up to 18-24 months? Also, what about winter storage using a good car cover? Acceptable to cover car right on top of 22ple? As with any sealant, you don’t want to “seal in” imperfections with 22ple. As far as I know, the best thing to do is to get your clear coat as smooth, clean and swirl free as possible, then do a final IPA wipedown (see the recent “Ask A Pro” article re. IPA/dilution ratio with DEMINERALIZED or DISTILLED water) and then take utmost care using dust free foam applicators and lint free MF wipe off towels that have been through at least one wash cycle using MF washing detergent. If you are new at this, I’d recommend reading as much as you can about the best way to prep a car right here on this EXCELLENT site that I refer to as my personal “Finishing School”. Happy sealing! Oops didn’t mean to use my Studio D logo on my previous comment. And oops again about not adressing your final Q about using your car cover in winter over 22ple. I’m almost sure the pros here will agree that by all means DO cover! It sure can’t do any harm UNLESS: the car is outside and the cover moves around on the surface due to winds – grinding in any dirt/grit you might have left behind on the surface if you didn’t carefully wash and dry before storage. Oh! And don’t forget to use a battery minder and put fuel stabilizer in the tank if you are storing over the winter. Hope this helps. EJ- I use Optimum Car Wash and Chemical Guys frequently. Ryan – Absolutely, you can use a wax on top of the coating if you choose. Art- I prefer to use a foam applicator pad. Brett- I really like Chemical Guys V7 and Optimum Car Wax / Quick Detailer to maintain with. Wash the car using safe washing methods, then while the car is still wet, spray the towel with your favorite quick detailer and that will aid in the drying process as well as helping to prevent any drying scratches. Can a glaze such as CG EZ glaze be applied prior to 22ple or will the glaze interfere with bonding? Can 22ple be applied to head/tail lights? If so, do you apply the XV1 or the VR1? Since VR1 can be applied to plastic/trim/rubber, do you have any fear that the VR1 could lead to stiff or brittle rubber down the road, such as window sill rubber? 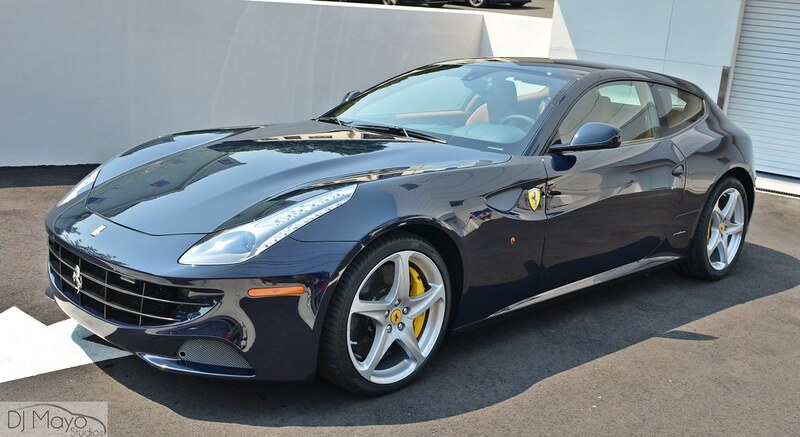 The Ferrari is stunning, fantastic work! Does anyone know the shelf life of 22PLE in an unopened bottle? I bought some for my “fun” car but then sold the car… won’t be getting another “fun” car until next Spring and wondered if the 22PLE would still be good? From My Knowledge As Long As It Is Unopened And The Plug/Stopper Hasent Been Removed You Should Be Good. Is ONR safe on a 22ple-treated finish? I see a nice reflection but nothing out of the ordinary. Actually it looks like Zaino was applied. And this 12 – 24 months of protection, I find hard to even believe. Has there been a professional test done with this product. The concept of this product reminds me of a product called Glare. They had a fanfare for a while, now their just another paint protection Co. I’m not knocking the product but I see the same thing when Zaino is applied or a Pinnacle Sovereign is applied. Nice job. I have been looking for a coating like this for sometime for my dark blue metallic Mercedes but have been confused by the variety of coatings available. There is Modesta, 22pple, pompanazzi, opti-coat, cquartz CQUK, G Techniques EXOv2,etc. With the understanding that prep is the key to any of these I am looking for an easy to apply, glassy, clear deep gloss that makes the paint pop as first priority. Also I am unsure if Modesta or many of these are available commercially vice to only professionals. Pls advise if you can. I know this is a very old thread but i was hoping you could recommend some items to use to achieve the results you did. It will be on a 2015 black Kia Optima SXL. I want to end with the 22PLE but need to look at the other steps b4 getting there! Thanks in advance! Is there a benefit of applying a second coat of 22PLE VX1?